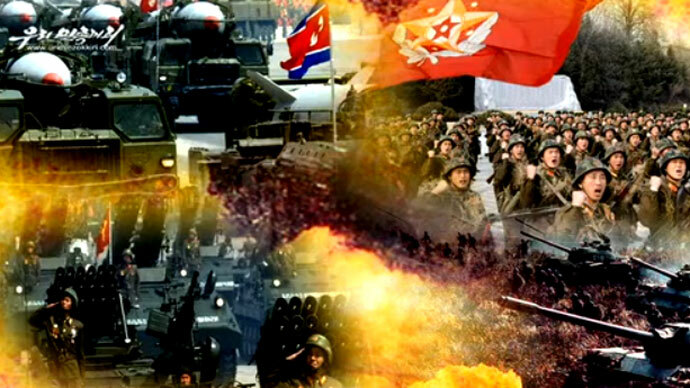 The North Korean leader and army marshal Kim Jong-un declared that “the revolutionary armed forces of the DPRK would react to the US nuclear blackmail with a merciless nuclear attack, and war of aggression with an all-out war of justice,” according to KCNA. The decree placing the Strategic Rocket Force on standby was signed following an urgent meeting of the military command early Friday morning, according to North Korean media. 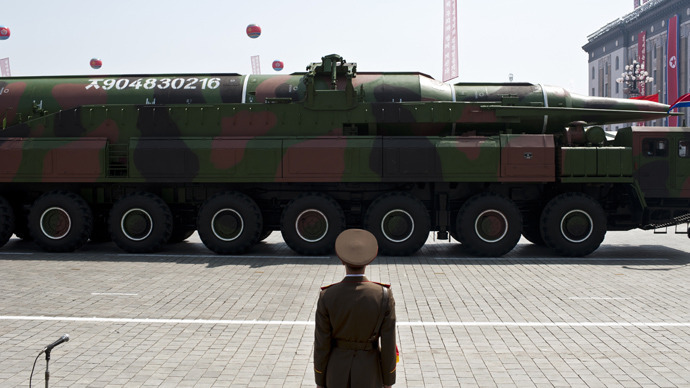 The plan suggests that ballistic rockets would be permanently targeted at American military installations in the Pacific, including Hawaii and Guam, as well as those in South Korea. In the case of another US "wreckless provocation" like the B2 flyover, a North Korean propaganda release says, the Korean People's Army "should mercilessly strike the US mainland, their stronghold, their military bases in the operational theaters in the Pacific, including Hawaii and Guam, and those in south Korea." 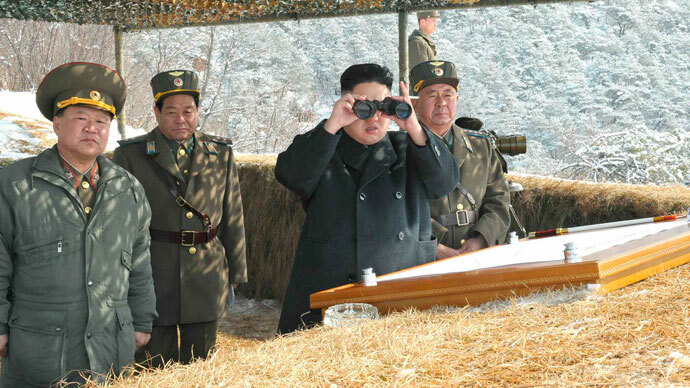 Pyongyang also showed off the country’s military capabilities to its own citizens: On photos published in national newspaper Rodong, Kim Jong-un is signing a ready order at an emergency military meeting in what appears to be a military command room. In certain shots, a plan for a nuclear strike on the US mainland can be seen on a wall to the right of the North Korean leader. 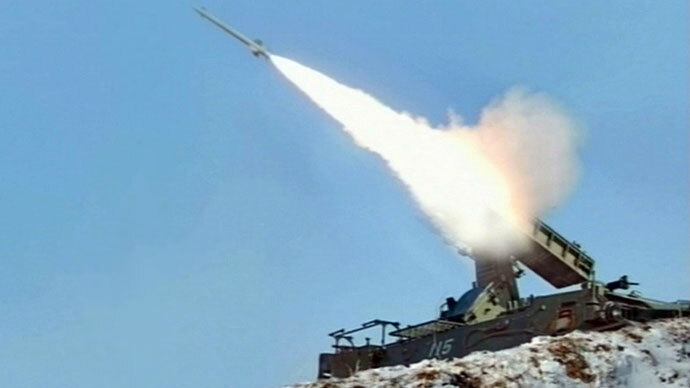 Experts agree that North Korean rockets are not capable of reaching the US mainland, though they probably could strike Alaska. Still, the plan in the North Korean command room shows that Pyongyang considers Los Angeles, Washington and even Austin to be possible targets. 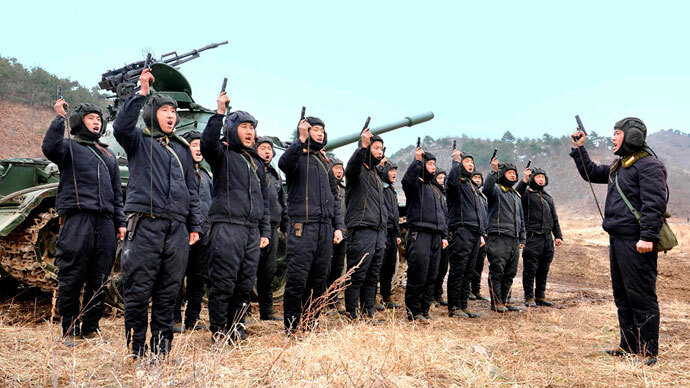 For the time being, North Korea’s demonstration of its nuclear capabilities is apparently aimed at an internal audience; the response that Pyongyang has received from its citizens is one of unquestioning support. Earlier on Thursday US Defense Secretary Chuck Hagel denied that the United States’ war games in the Korean peninsula had aggravated the situation in the region. Hagel said that “this new young leader” of North Korea had “ratcheted up the danger” with his actions and aggressive tone. "We have to take seriously every provocative, bellicose word and action that this new young leader has taken so far,” Hagel told a Pentagon news conference. The US and South Korea conducted joint military drills on Thursday. As a part of the Foal Eagle war game, American B-2 bombers flew over 10,000 kilometers to stage a mock bombing of Korean soil, southern in this case. The Pentagon said it was the first time that nuclear-capable B-52 bombers conducted such a round-trip, carrying dummy inert munitions. North Korea has been threatening to attack the US regularly in recent days, especially after Washington and Seoul signed a joint contingency plan on possible responses to North Korean military provocations earlier this week. Around 28,500 US troops are based in South Korea, and would take command of the South’s army in the event of a full-scale war with the North.